Friday, October 28, 4 – 7 pm. 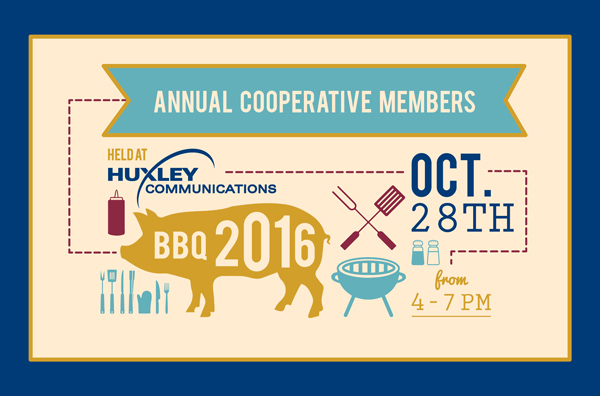 Come enjoy food and special giveaways at the fall BBQ just for our members! It’s also a great opportunity to learn more about Skitter TV. August 26-28 Join the Ballard community for the prairiest festival around! Watch www.huxleyprairiefest.com for updates. We’re always looking for volunteers, sponsors and fun-loving attendees!